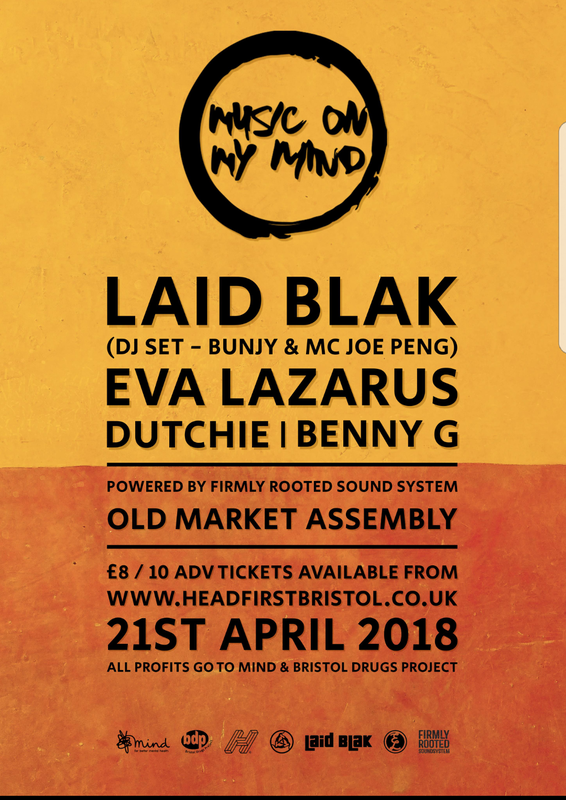 Music On My Mind is a new night in Bristol raising funds and awareness for some of the most important charitable causes helping vulnerable people within our city, through fundraiser parties with lineups supporting artists both respected and emerging from the Bristol music scene. Join us for our launch party, supporting two amazing charities. The first beingMind one of the UK’s most successful charities in giving people experiencing mental health problems support and respect, the second being BDP – Bristol Drugs Project a charity helping victims of alcohol and drug abuse, with their main goals being to reduce harm, promote change, challenge prejudice and maximise peoples potential. These two veterans of the jungle scene earned their stripes rocking the biggest sessions through the 90’s rave scene. 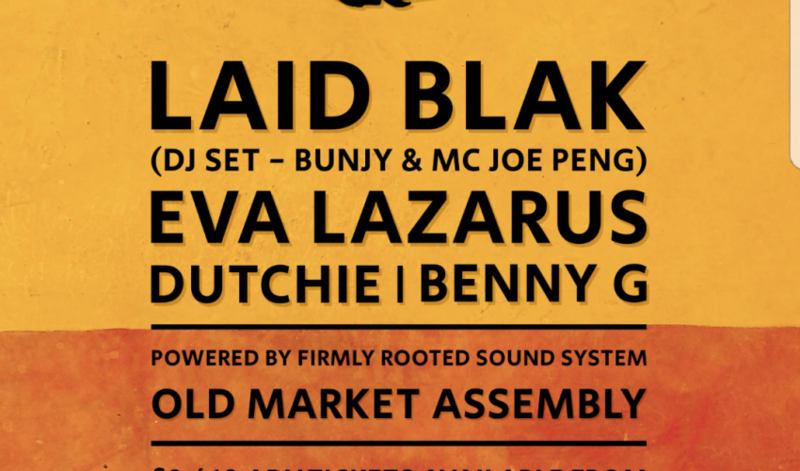 As they’ve grown, their musical direction took a course that led them to seek out some of Bristol’s finest musicians to form Laid Blak, known for songs such as ‘Red’ & ‘Bristol Love’, Bunjy & Joe Peng will be bringing the Laid Blak flavour down to Old Market for an unmissable, high energy DJ set. Big voice, big bass and big hair is what Singer/MC Eva Lazarus is all about! Her musical flavours span across genres from Reggae to Hip Hop, DnB to Jungle and beyond! Working both as a solo artist and collaboratively, Eva has defnitiely made her mark in the scene over the past few years. Recent collaborations include Mungo’s Hifi, Gentlemans Dub Club, Sam Binga and Zed Bias.